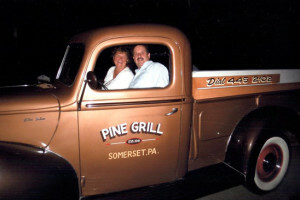 Currently owned by Mark and Pam Miller of Somerset for more than 30 years, Pine Grill has a casual dining atmosphere with reasonable prices as well as a special children’s menu. Located off Exit 110 of the Pennsylvania Turnpike, you can find the restaurant quickly by going to the second traffic light from the exit. Turn right and the restaurant is immediately on your left along North Center Avenue in Somerset, next to the Harley Davidson motorcycle shop. You can experience some of the finest grass-fed steaks, seafood and pasta with dishes ranging from salmon fillet with dill sauce to chicken and mushroom alfredo. 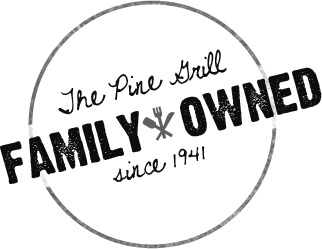 See our broad range of menu choices for even more options. You can also enjoy a cocktail in our pleasant and comfortable lounge.